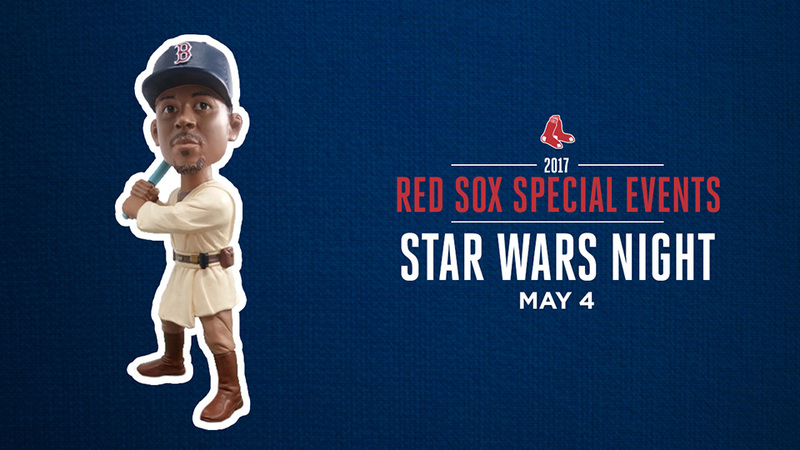 The Boston Red Sox distributed the Mookie Betts Star Wars Bobblehead on 5/4/2017. Why wait in line when you can avoid the hassle and purchase here at BobblesandGnomes.com? This stadium giveaway is only available in limited quantity, so secure one now before the supply runs out.